Our latest exhibition, Beyond Words, will be opening at the Sock Gallery, Loughborough Town Hall, on Friday 15th May. 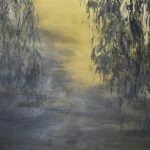 20 artists from Artspace Loughborough have interpreted the phrase ‘Beyond Words’ for an exhibition in the Sock Gallery, Loughborough Town Hall, from 14th May to 27th June 2015. Artists were encouraged to interpret the title in their own way. Many have been inspired by memories of emotions beyond words, whether this is a memory of an intense experience like swimming underwater, or a reaction to the beauty of nature, or observing other people’s relationships. Some are reactions to our social media and mobile phone-obsessed world. One artist has painted her surprising feeling of peace during a period when she couldn’t speak! Some works contain actual words as part of the visual experience. 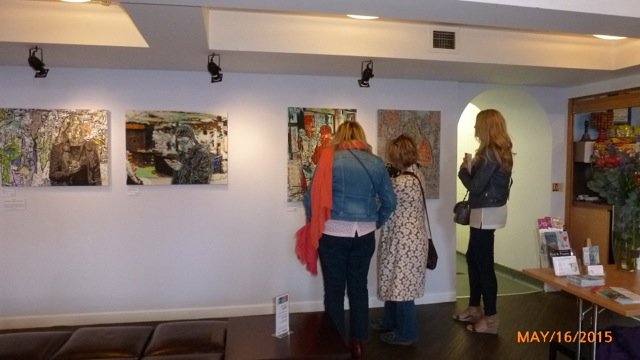 You can ‘Meet the Artists’ in the gallery on Saturday 16th May 1-3pm and ask them questions about the exhibition. 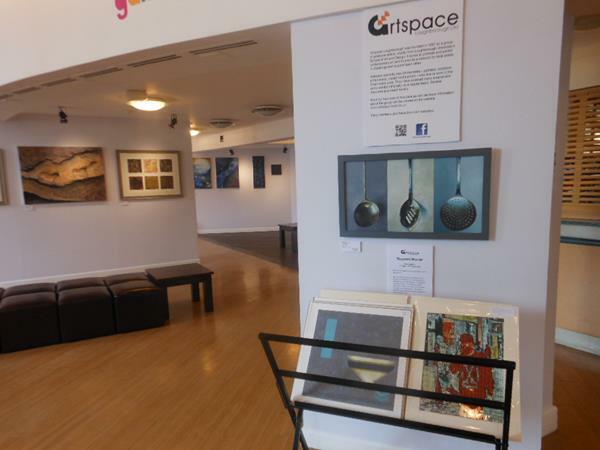 ‘Beyond Words’, Sock Gallery, Town Hall, Market Place, Loughborough LE11 3EB. Tel: 01509 231914. The exhibition will run until 27th June, Monday through Saturday, 9am – 5pm; closed Sunday.